Vertigo. Acceptable. Has a publisher's remainder mark. Book reads fine but has significant wear, dings, and jacket tears. 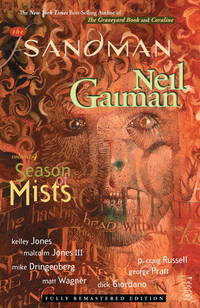 by Neil Gaiman (Author), et al. DC Comics, 2010-02-01. Softcover. New. GREAT Bargain Book Deal - some may have small remainder mark - Ships out by NEXT Business Day - 100% Satisfaction Guarantee! Vertigo. PAPERBACK. 1401230423 BRAND NEW, GIFT QUALITY! NOT OVERSTOCKS OR MARKED UP REMAINDERS! DIRECT FROM THE PUBLISHER!|0.81 . New. Vertigo. Very Good. 2011. Paperback. 1401230423 . This book is in very good condition; no remainder marks. It does have some cover shelfwear. Inside pages are clean. ; 10.08 X 6.54 X 0.31 inches; 192 pages . Vertigo. PAPERBACK. 1401230423 *LIKE NEW* Ships Same Day or Next! . Fine. Vertigo. PAPERBACK. 1401230423 *BRAND NEW* Ships Same Day or Next! . New. New York, NY, U.S.A.: Vertigo, 2010. Eighth Printing. Trade Paperback. NEW. Kieth, Sam (illustrator); Dringenberg, Mike (illustrator); Jones, Malcolm III (illustrator). Brief summary of content available upon request by e-mail. Vertigo, 2011-02-01. New edition. Paperback. Used:Good. Vertigo. PAPERBACK. 1401230423 Brand New ,Original Book , Direct from Source , Express 5-8 Business days worldwide Delivery. . New. Vertigo. New. 2011. Paperback. 9781401230425 . A Good Read ships from Toronto and Niagara Falls, NY - customers outside of North America please allow two to three weeks for delivery. ; 10.0787401472 X 6.5354330642 X 0.3149606296 inches; 192 pages . Vertigo. PAPERBACK. 1401230423 Like New Condition. . Fine. Vertigo. Paperback. 1401230423 Please allow 4 - 14 business days for Standard shipping, within the US. Thank you for supporting our small, family-owned business! . Fair. 2011-02-01. New edition. Vertigo. Paperback. 1401230423 Please allow 4 - 14 business days for Standard shipping, within the US. Thank you for supporting our small, family-owned business! . Fine. 2011-02-01. New edition. 2011-05-09. Good. Ships with Tracking Number! INTERNATIONAL WORLDWIDE Shipping available. May not contain Access Codes or Supplements. May be ex-library. Shipping & Handling by region. Buy with confidence, excellent customer service! 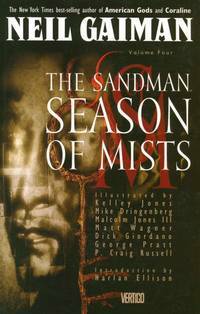 Neil Gaiman - Sandman Vol. 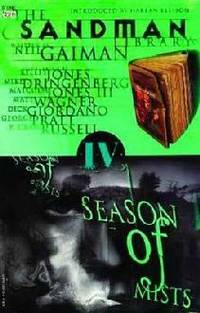 4 - Paperback. Book. BRAND NEW.